Holiday beach is located in Hainan, China. It is warm and humid all year round with a subtropical monsoon climate, every December is the best season for kiteboarding, the temperature is expected to be around 30°C. Haikou is a popular tourist resort with many fine hotels. 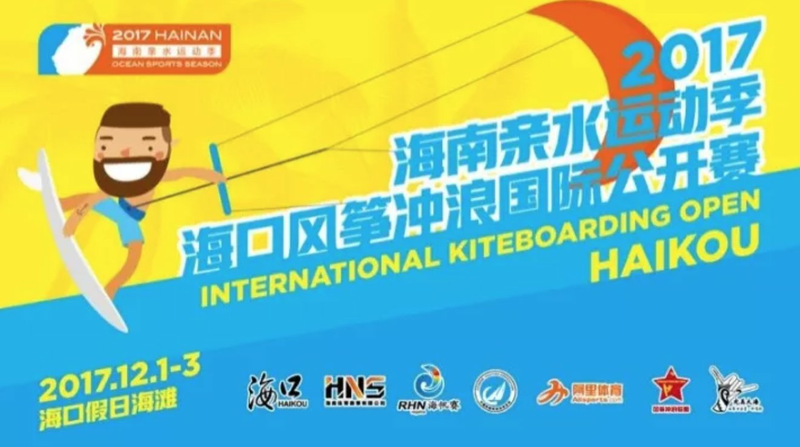 Riders of this event will stay in Hainan Noble Yacht Club, which is only 200 meters away from the competition beach. WIFI is provided in each hotel room and international credit cards are accepted. Discount price for riders is 280 RMB per room with twin bed, the price includes two breakfastr.and 340 RMB for seaview room.